The days of Sonic the Hedgheog as Nintendo antagonist have been over for over a decade now. Back in 1991, the cocky blue blighter was used to make Sega’s Genesis look like a cooler alternative to the Super Nintendo, but by 2001 Sega was releasing Sonic games on Game Boy Advance and Gamecube. 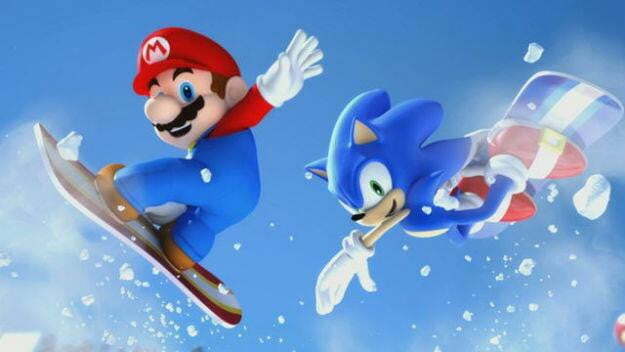 By 2007, Sonic was flat out appearing next to Mario in games. Now the Sonic and Nintendo rivalry receives a final nail in its well-worn coffin: Hirokazu Yasuhara, co-creator and director of the original Sonic the Hedgehog is now an employee of Nintendo. Gamasutra reported on Thursday that Yasuhara has joined the Redmond, Washington-based Nintendo studio Nintendo Software Technology. That studio is known for the Mario vs. Donkey Kong Game Boy Advance and Nintendo DS games as well as Metroid Prime: Hunters. This is just the latest move for Yashuara. In the past fifteen years he has worked with Naughty Dog on the Jak & Daxter and Uncharted series as well as with Namco Bandai. What will Yasuhara be doing with Nintendo? It’s unclear. As Siliconera noted, his LinkedIn profile merely lists him as a “game designer” with NST. Maybe he’s going to help the studio finish that Wii launch title Project H.A.M.M.E.R. that got cancelled five years back. Is Google Wallet over before it began?